You’ve installed the iOS 9 beta on your iPhone or iPad, but you’ve noticed that the version is full of bugs and you want to return to iOS 8. 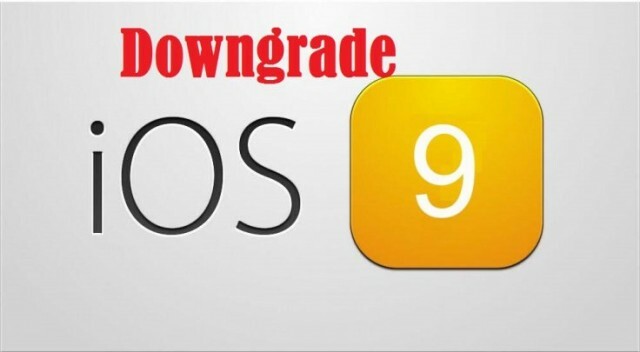 Don’t worry, there’s a way back and we can help you to downgrade to the previous software. It’s the best decision, which will save you frustrations, plus, you’ll have a few weeks left until the final version of iOS 9 will be released, and you’ll be able to upgrade again. You were anxious to test the new features that iOS 9 will come with, but the beta version was full of bugs and you started having second thoughts about wanting to continue running this software. 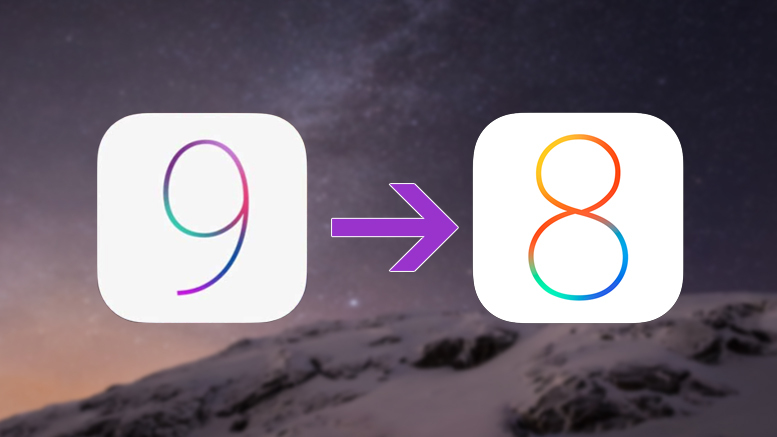 Luckily, the upgrade is reversible, but there are some steps that must be taken in order to get back to iOS 8. – Open iTunes, go to Preferences>Devices and look for the device’s backup, then hold the Ctrl key and left-click on the backup. You will choose the option to archive your data, so if you want to downgrade to iOS 8 after testing out the iOS 9 beta, you will be able to restore the backup. So, you’ve tested out the iOS 9 beta and you were disappointed of the way it runs. No problem, you can put your device in recovery mode and restore it. Many people are using the Find My iPhone feature and they need to activate their devices after the restore, so they need to enter their Apple ID and password. To restore the backup that was previously archived and stored on iTunes, you will connect your iPhone/iPad to your Mac and you’ll select the option to set it up. Instead of downgrading to iOS 8, you should install iOS 8.0.2 by going to Settings>General>Software update>Download and Install. We suggest you to backup your device, so you won’t have any surprises. The reason why you should install this version is because it offers many bug fixes and performance improvements, but we’ll mention only a few of them: the bug that was preventing some applications to access photos from the Photo Library has been fixed; the HealthKit applications can be downloaded from the App Store; the cellular network connectivity and Touch ID that was affected on the iPhone 6 and 6 Plus has been fixed; third party keyboards are no longer deselected when the users are entering their passwords etc. Before doing this, you will back up the data and applications from your device, because when reinstalling the previous software, you will lose everything. The required file to reinstall iOS 7 is 7.1.2.ipsw, which is either stored on your hard drive, or in youruserfolder/Library/iTunes/ iPad Software Updates or iPhone Software Updates or iPad Software Updates. If the file is no longer on your Mac, because the device deletes files periodically, you can still download the file from the internet, but make sure the website is reliable and not full of viruses. You will plug your device into the Mac, launch iTunes and from the interface click on your phone/tablet and then select Summary and hold the Alt/Option then click on Restore. Open the iOS 7.1.2.ipsw file and wait until Mac will reinstall this version on your mobile device. If you’re running the latest version of iOS 8 and want to return to iOS 7, then you will use Recovery mode. You will turn off your device, plug a syncing cable into the computer, then hold down the Home button on your mobile device while connecting the other end of the cable to your iPhone/iPad. When you see Connect to iTunes on your screen, release the Home button and the device will be in Recovery mode. Hold the Option key, which is the Alt button, then click on Restore and go to the iOS 7.1.2.ipsw file to install it.